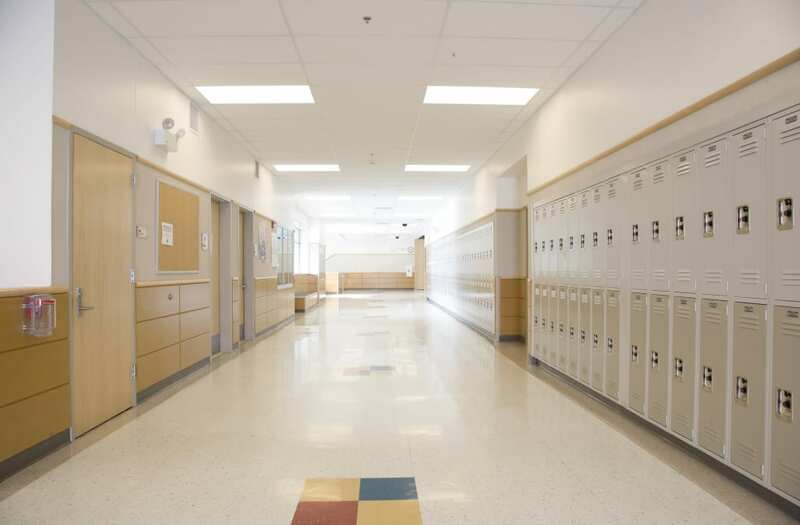 The Wake County school system in North Carolina is facing serious outrage after a video of middle schoolers chanting "KKK" and making racially derogatory remarks was released. The Leesville Road Middle School students can be heard chanting "If you're in America, we don't accept" blacks, Jews, Arabs or Hispanics." "Go back to the fields of Alabama," one student says, according to the News & Observer. "Go back to the factories in Mississippi. You don't deserve freedom." After the footage began to spread, Leesville Road Principal Cindy Kremer called parents to let them know what steps were being taken to handle the horrible situation. "Here at Leesville Road Middle School, the expectation is that we adhere to high standards for all students," Kremer said in a voice message. "This video violates those standards, and its messages will not be condoned in our school." According to the News & Observer, the school took appropriate disciplinary action after investigation was completed on Wednesday. School officials are currently discussing what they can do to prevent more incidents of the sort. "It's disturbing," Lisa Luten, a Wake County Schools spokeswoman, told the News & Observer. "It's concerning, and it's something we're having conversations about, whether a larger action needs to be taken." This is the second racially-charged video to go viral in the school district in the past month.